We help New Yorkers looking for work get the skills and certifications they need to be hired in high-demand industries. We provide a host of talent services to meet an array of employer-based training and hiring needs. We have mutually-beneficial relationships with a host of nonprofit partners across NYC to ensure all participants get the support and training they need to thrive. STRIVE is a nonprofit agency headquartered in East Harlem that provides skills training, certification, and job placement services to help New Yorkers get back to work. For more than 30 years, STRIVE has been providing career development services to more than 1,300 men and women annually. "A golden opportunity to add new skills and move up"
Like many, Elise lost her job in the recession. 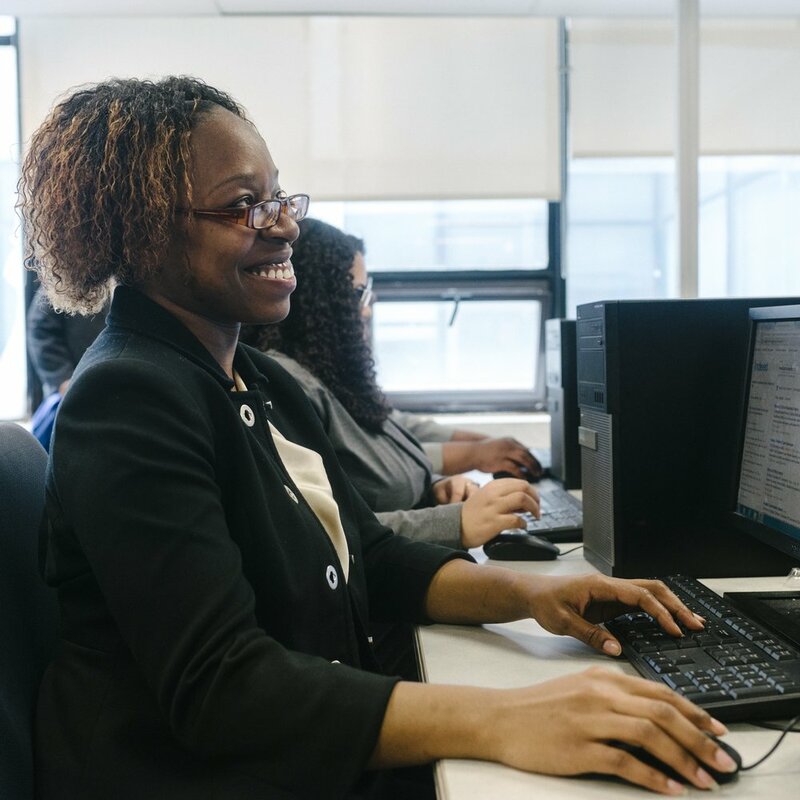 She heard about STRIVE at a job fair in Harlem, and came to the CORE Job Readiness Program, and then Health & Office Operations skills training and certification. Within little time, Elise was hired. She worked at Mount Sinai Health System as a Billing Coordinator for four years. But Elise wanted to advance. She kept in touch with STRIVE staff, taking advantage of the lifetime guarantee of service and evening workshops. When STRIVE launched the MOVE UP advanced skills training program in 2016, Elise signed up. With the support of STRIVE and ongoing effort in STRIVE's programs, Elise has been promoted into a higher-paying position. She is out of debt, and bought a coop for her family. STRIVE gave Elise the tools and support she needed, as well as access to industry-demanded training and certifications. "STRIVE," she says, "helped me make my dream come true." Are you looking to join a dynamic and energetic work environment? The STRIVE team is deeply mission-driven with a culture that is built on strong internal relationships and a collaborative work ethic. Over the past five years STRIVE has doubled its budget, nearly doubled its staff, tripled the number of New Yorkers it serves, and expanded services nation-wide. You will oversee all talent management and human resource activities for STRIVE's team of 50+ talented individuals. The full job posting can be found here. You will facilitate job readiness and attitudinal training for STRIVE participants on Rikers Island for our new reentry program, SMART. You will prepare pre-release participants, made up of sentenced inmates at Rikers, to confront and resolve barriers that are preventing them from obtaining and maintaining employment. The full job posting can be found here. 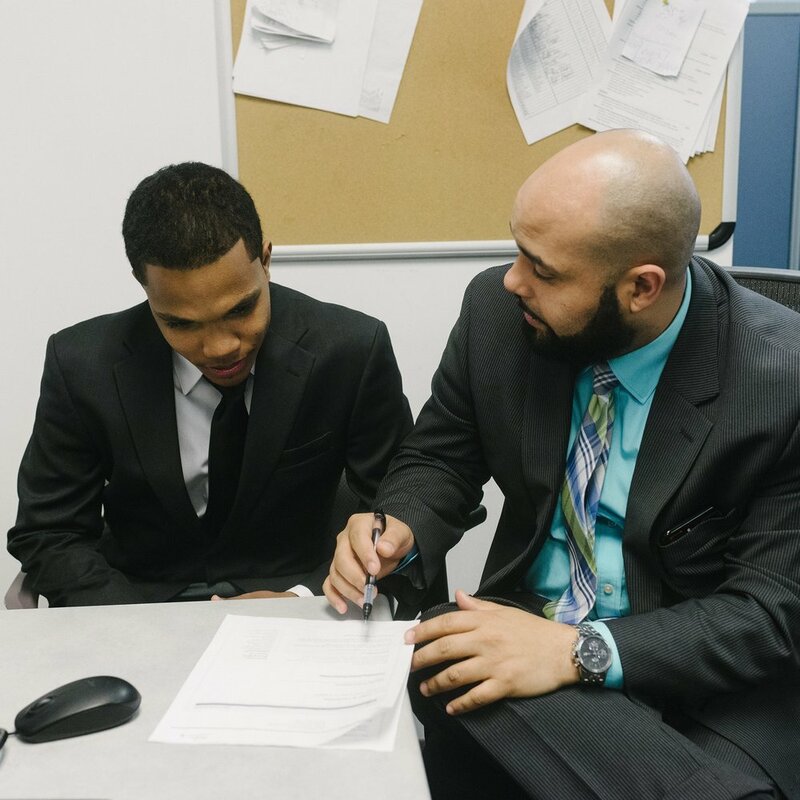 You will work collaboratively with STRIVE's Case Management Team, Job Developers, and clients to facilitate timely employment for STRIVE graduates and ensure clients retain active employment. The full job posting can be found here.